Have you ever imagined what an ideal golf ball looks like? No, then maybe you should start to. In fact, you shouldn’t because today in this post I am going to introduce you to the best golf balls in town! In today’s review, I have something more interesting on the list which is the comparison of Callaway super soft and Callaway chrome soft. I basically got this idea by some golf players, arguing on Callaway Supersoft vs Chrome Soft. Let’s read below to make your decisions easier. The Chrome soft is aimed at golfers who want a ball that offers a driver and an iron performance as well as soft feel and short game control. Callaway has combined the lowest compression golf ball available with its HEX Aerodynamics to create a long, straight distance ball with an incredibly soft feel. A new graphene Dual Soft Fast core has allowed for a thinner outer core and a larger inner core to enhance the ball’s speed and reduce long-game spin for more distance. The Supersoft is Callaway’s s softest golf ball ever. The super low spin is a catalyst for straight shots but at the expense of some distance. This two-piece ball is available in white or yellow if you prefer color. 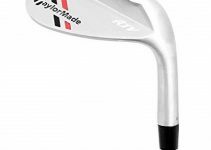 It has a very soft feel of a wedge, low arc and definite bite on the second bounce. Certainly feels soft. Thanks to its 38 compressions. This can improve control and accuracy for slow swingers. This golf ball has an extremely low spin, which is good for straight shots. Golfers who like to exert more control to the ball would love the Supersoft’s settings. It feels springy to the putter and driver, which can be a new sensation to crave for. Excellent value, usually priced around a third cheaper than its competitors. The golf ball’s extremely slow spin does mean losing a bit of control over curved long-distance shots. Let’s do the second part of the Callaway Supersoft vs Chrome Soft ball. The Chrome Softball is ideal if you want that premium level of performance through the bag without the premium price tag. Callaway’s patented dual-core construction features an exceptionally soft inner core surrounded by a firmer outer core. 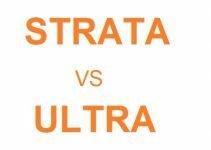 According to Callaway, the soft inner core leads to faster ball speeds and longer distances for golfers with slower swing speeds, while the firmer outer core provides more control for low-handicappers with faster clubhead speeds. A thin mantle layer surrounds the two inner layers of the “Dual Soft Fast Core.” An ultra-soft urethane outer cover gives the Chrome Soft its soft feel and exceptional grip off the clubface. Callaway’s specifically designed Truvis (true visibility) pattern, printed on the Chrome Soft, provides better visibility and focus of the ball off the clubface and during flight. They also claim Truvis makes finding the ball, once it lands, considerably easier. Originally, Truvis balls came in white with a red pattern but, in 2016, Callaway added a black pattern on a yellow-based ball. Callaway balls employ hex shaped dimples which they claim provides greater stability in the wind. Players can expect a similar distance to other premium balls. Similar launch angles off wedges and short irons to other balls in the same class. The ultra-soft cover provides exceptional feel and control around the green. The Truvis pattern helps players track and locate their ball. If you love swinging fast, then you may have to sacrifice a little to enjoy the low-compression build of the Chrome Soft. 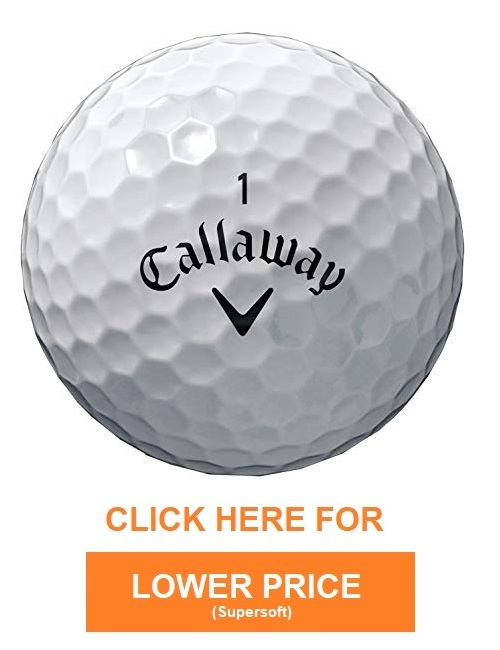 It is comparatively more expensive than the Supersoft and many other Golf balls. Chrome soft packs quite a hit for a price that is a bit more expensive than Callaway Supersoft. 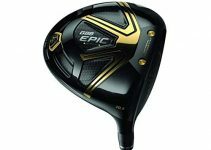 It can be the go-to ball for golfers who want to buy an all-around ball, or for slow swingers that love controlling the play of the game. its compression is not as low as the Supersoft but is more than enough to offer flexibility for both slow and fast swingers. The ball offers an extremely soft cover that allows you to generate lower spin but offers quite long distances. Its Soft Fast core not only allows slow swingers to get more distance, but fast swingers can also actually get more control thanks to the balanced core. Supersoft lives up to its name as the softest ball courtesy of Callaway. The ball is built for reduced spin and a farther distance, which helps golfers who want to apply more control. 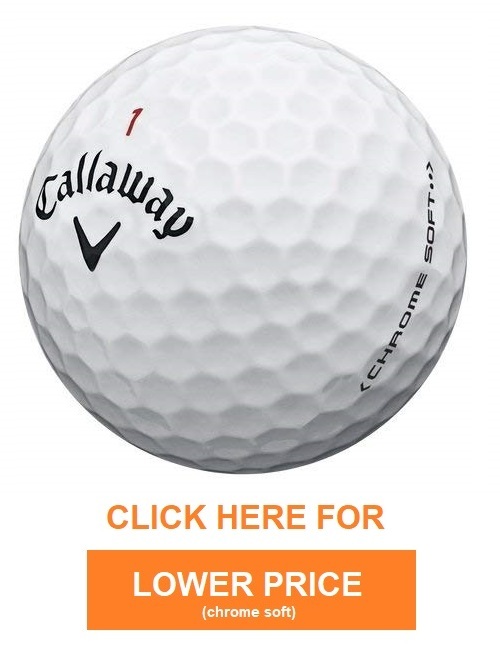 Its price is lower compared to Callaway Chrome Soft as well, making it quite the budget-friendly ball. The Callaway Supersoft dramatically improves distance and accuracy for players that have slower swing speed. It has dimples of HEX aerodynamic design, allowing longer and smoother flight. This will enable golfers to plan their courses much easier. The Supersoft is best for slow swingers who want to play straight shots whereas, this ball is certainly not for curved shots. Callaway stuns golf enthusiasts once again with two golf balls that pack quite a blow despite their size. However, if I were to choose, you must get the Callaway Chrome Soft for the greatest experience. In the Callaway Supersoft vs. Chrome Soft fight, the Supersoft does have its pluses, especially for its price. If you cannot afford the Chrome Soft, the Supersoft can be a budget-friendly ball that offers stability and performance that puts it on balance with other golf balls. However, if you’re looking for higher performance, the Chrome Soft is the one.